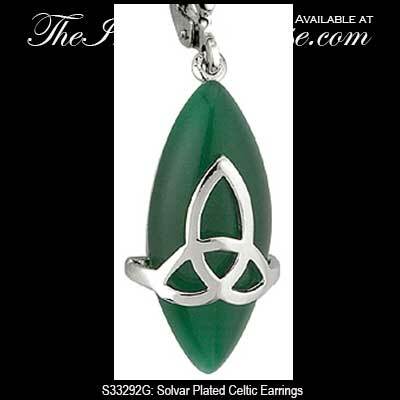 These rhodium plated Celtic drop earrings feature an open Trinity knot wrapped around a green cat eye glass stone. 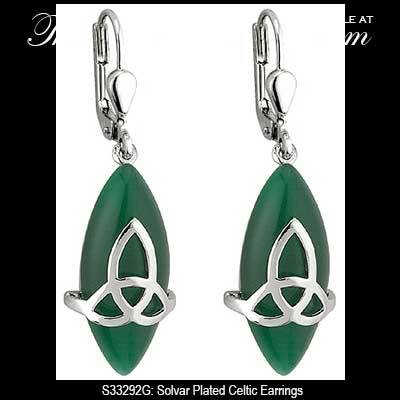 These Celtic earrings feature green cat eye glass stones that are enhanced with superimposed Trinity knots. The rhodium plated Celtic drop earrings are on latching Eurowires wires and measure 3/8" wide x 1 1/2” tall, to the top of the wire.